The Chief Justice, Georgina Theodora Wood, has warned embattled National Democratic Congress (NDC) bankroller, Alfred Kofi Agbesi Woyome, to refund the GH¢51.28 million he took from the state as judgment debt. 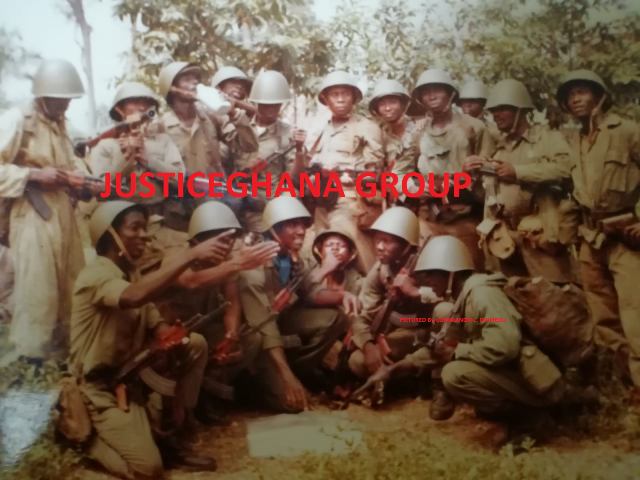 She told Woyome’s lawyer, Osafo Boabeng, during a hearing for an application filed by the Attorney General seeking directions from the Supreme Court to chase Woyome and Waterville for the cash, that in order “to avoid a higher crime, better pay”; to which counsel responded, “We are making efforts to pay the money” and promised that they would finish payment by the end of the year. ‘Higher crime’ is the offence, according to law, where one fails to comply with a Supreme Court order. Justice Anin-Yeboah had asked counsel if he meant what he was saying, to which counsel said he meant every word of it and that he even had consultations with the A-G on the matter this year. Earlier, the state, led by Dorothy Afriyie-Ansah, told the court that they were back to court seeking leave as to how to enforce the judgment because they were not seeing their way clear. Martin Alamisi Amidu, the former A-G who initiated the action leading to the order for payment, said the state did not need the leave of the court if they had taken steps to enforce the judgment and urged the court to give reserve orders as to make the orders meaningful for the state to have them carried out. Kofi Peasah-Boadu, counsel for Waterville, said he was opposed to the order for directions because judgment had not been ordered in respect of the court order against them. But Justice Jones Dotse reminded him that it was because of the time lapse and how to carry out the orders that the A-G was back to court seeking directions to enable them make the orders meaningful. Mr Boabeng, on the other hand, stated that he did not understand why the state got what they wanted and were back to court seeking leave to enforce the judgment, to which Justice William Atuguba noted that the court was treating the application for leave as directions because the state admitted they were not seeing their way clear. Justice Adinyira asked whether it was because the respondents had not obeyed the court order that was why he said he did not understand and counsel in response said they had no intention of disobeying the court, after which Mrs Adinyira read out the offence for failing to obey the court as higher crime. Martin Amidu, before the judges rose for the chamber, admonished the A-G to execute the judgment expeditiously for people to have confidence in the judiciary and said if the orders were not obeyed, “I will be back to ensure that the court orders are not in vain”. Other Justices on the panel were Julius Ansah, Baffoe-Bonney, Sule Gbadegbe and P. Benin. It would be recalled that the Supreme Court, presided over by Chief Justice Georgina Theodora Wood, last year held that there was no contract between the state and businessman Alfred Agbesi Woyome regarding the CAN 2008 projects, and that the GH¢51.2 million judgment debt paid to the businessman was unlawful. The apex court therefore ordered Woyome to refund the money, stressing that the basis of Woyome’s claims was in contravention of Article 181(5) of the 1991 Constitution which requires the approval of Parliament. The court consequently held that consent judgment which the former Attorney-General, Betty Mould-Iddrisu, made with Woyome should have not been entertained at the High Court. Woyome was three weeks ago acquitted and discharged on the offence of fraudulent receipt of the GH¢51.28m judgment debt by Justice John Ajet-Nassam.